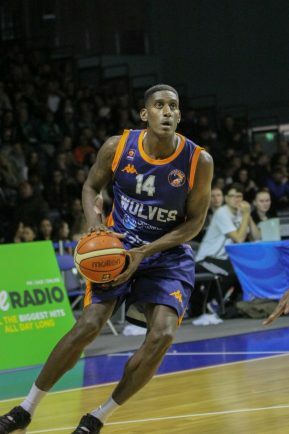 WORCESTER Wolves new signing Robert Gilchrist was hailed by head coach Paul James after the 27-year-old helped secure three wins in a row with a 97-90 triumph over Plymouth Raiders. 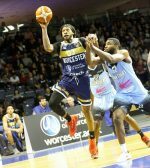 The 6ft 9in power forward agreed a temporary contract with the University of Worcester outfit on Friday and was thrown staight into the team for the British Basketball League clash on the same day. Gilchrist notched up 14 points, eight rebounds and four blocked shors on a debut to remember which won praise from James. “Robert only arrived today but was able to make an immediate impact. He did great things for the team, especially defensively,” he said. After taking more than two minutes to get on the scoreboard, Wolves trailed 18-6 midway through the opening quarter. Gilchrist ensured Wolves had several trips to the foul line as home side toiled to keep in touch, trailing 17-28 by the end of the period. Dallin Bachynski sank a rare three-pointer to spark a revival and six points apiece for Trayvon Palmer and George Beamon dragged matters back to 35-35 four minutes before the interval. As the third quarter wound down Raiders were again in front at 66-58, before a Gilchrist basket and a skilful Palmer three as he fell backwards closed the scores. 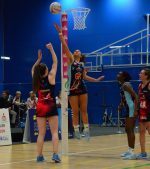 The back-and-forth continued with another Wells drive edging Plymouth 82-81 ahead with four minutes to go before Ashton Khan danced to the hoop to regain Worcester’s advantage and sealed the win from the free-throw line. Wolves will be back at the University of Worcester Arena on Friday for the first leg of their BBL Cup semi-final against Sheffield Sharks.